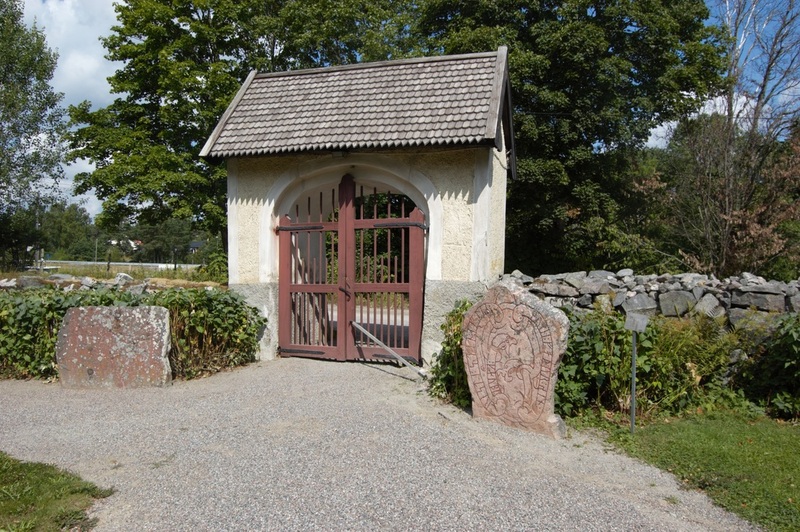 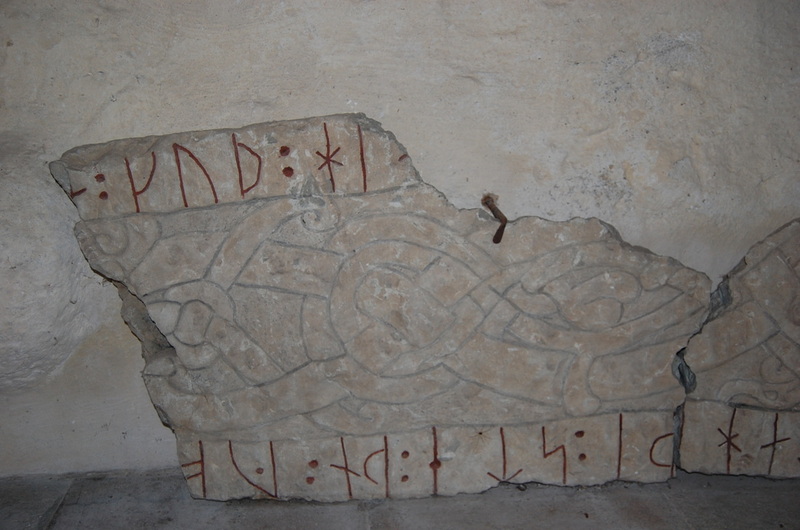 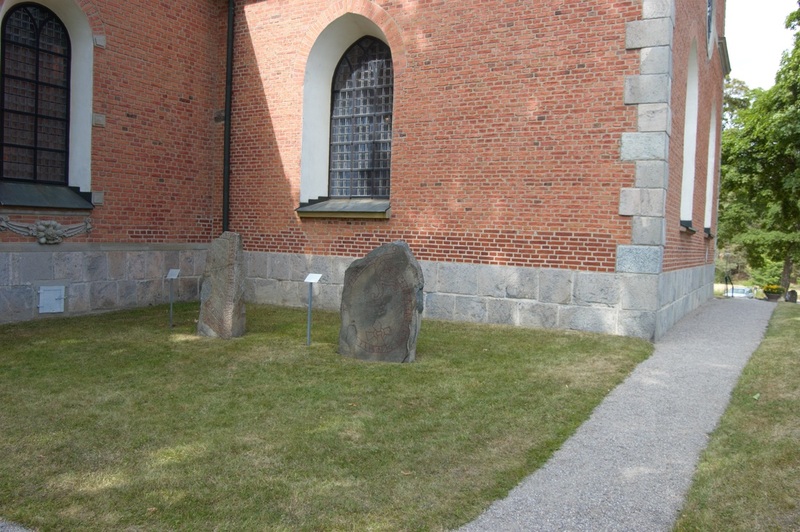 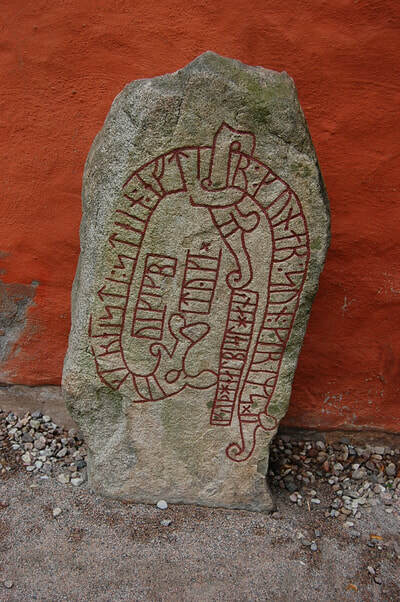 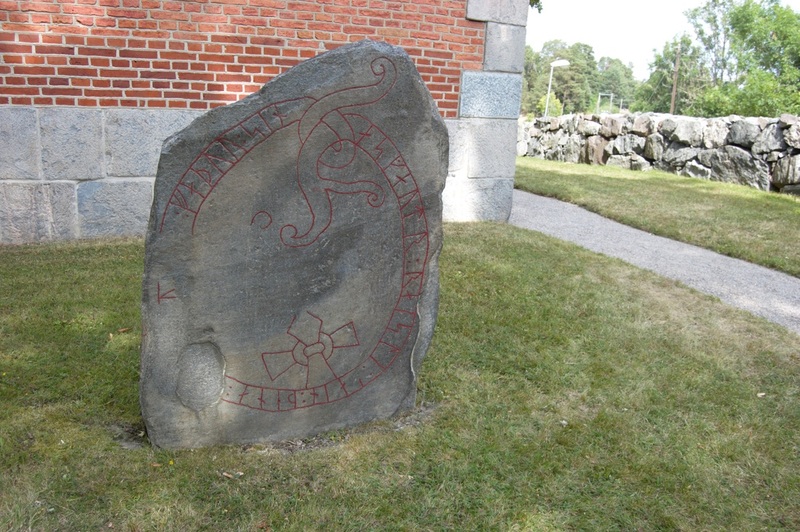 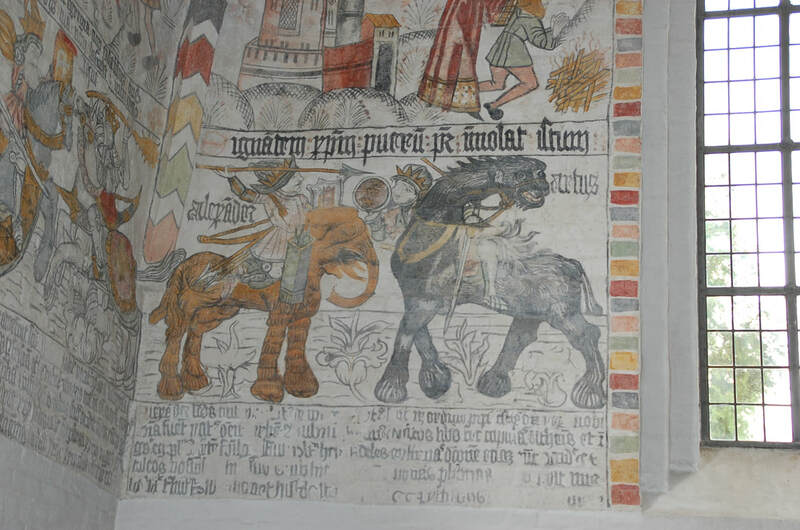 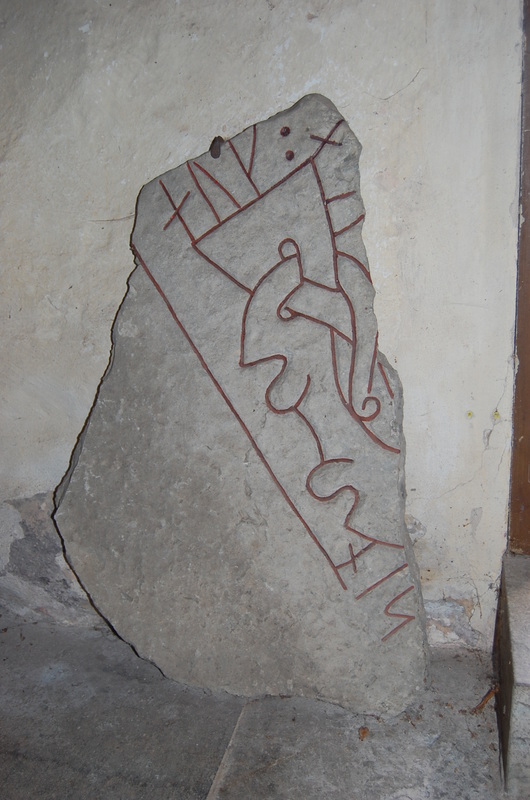 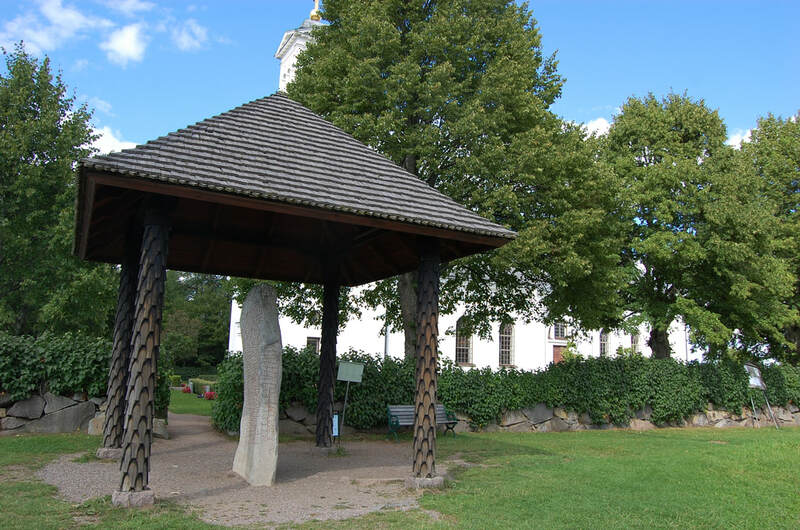 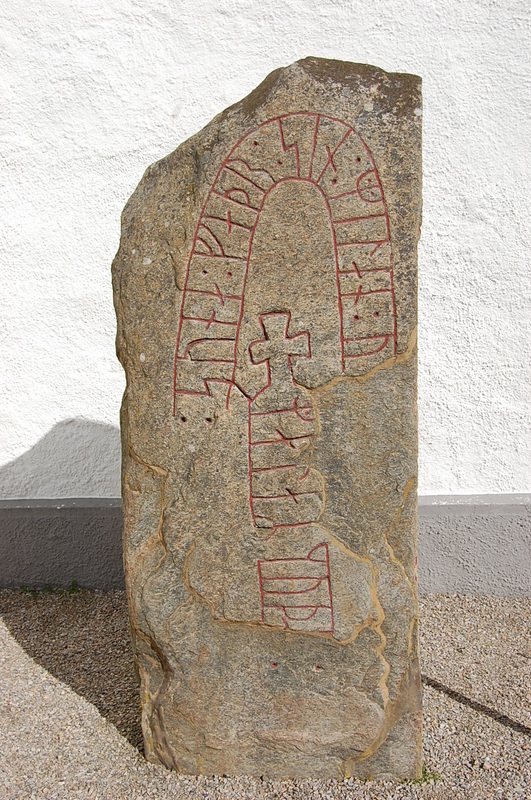 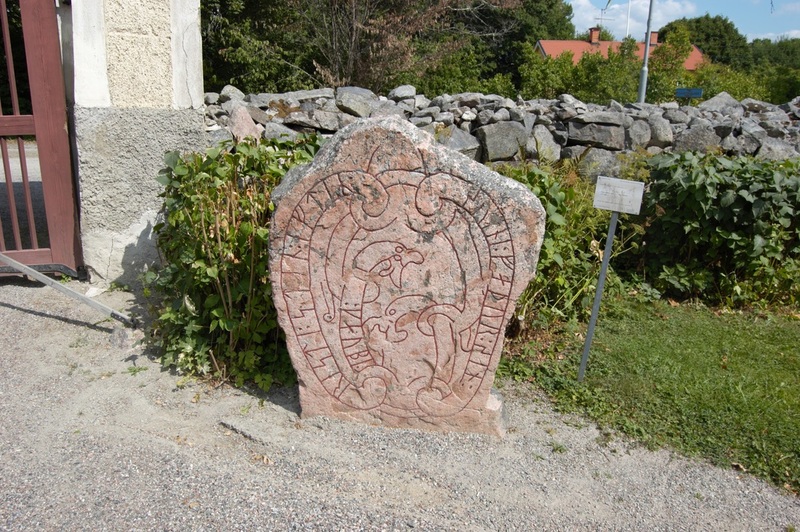 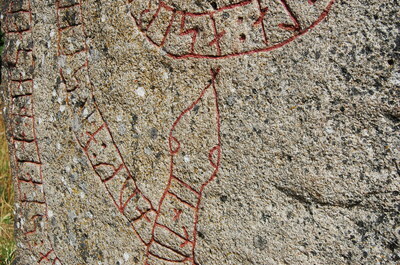 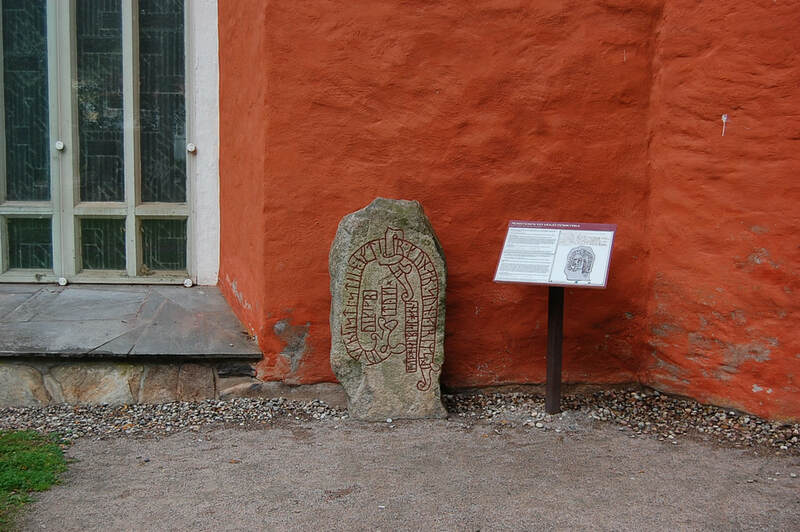 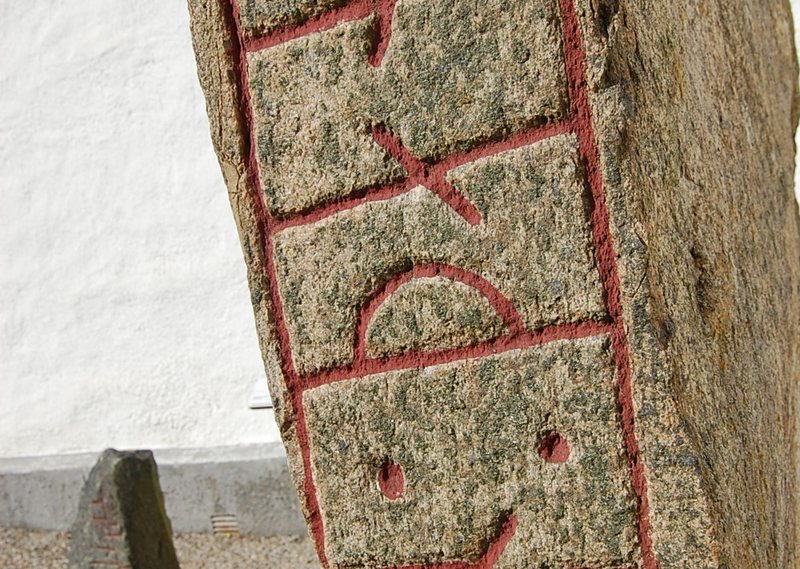 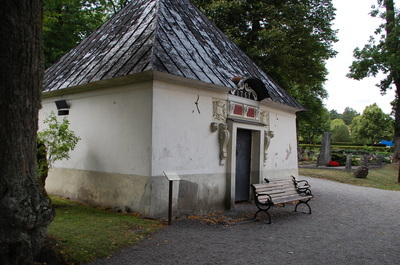 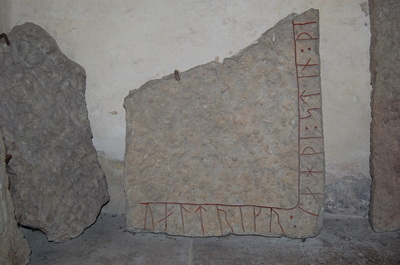 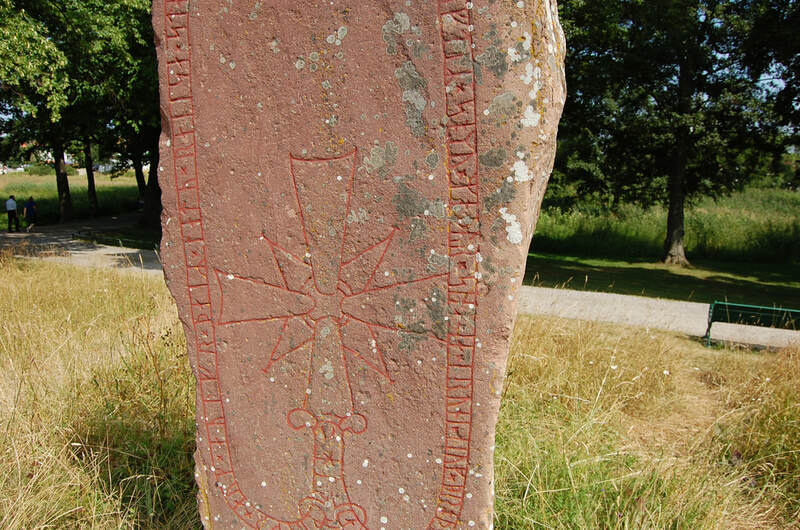 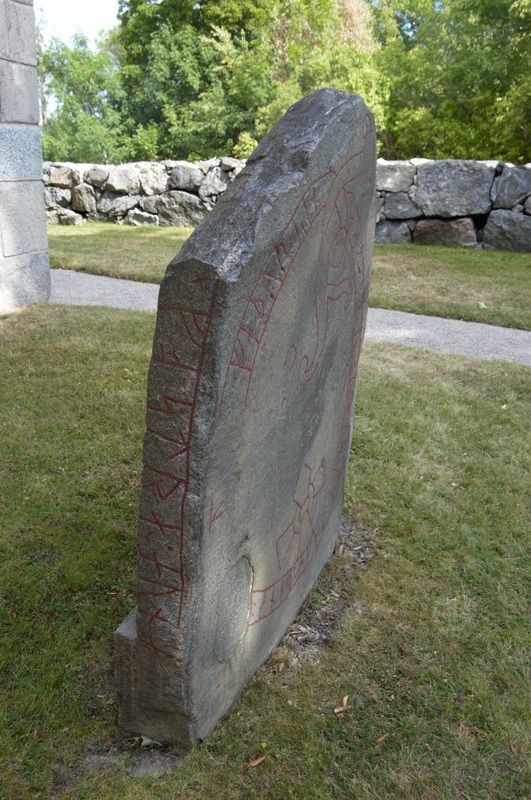 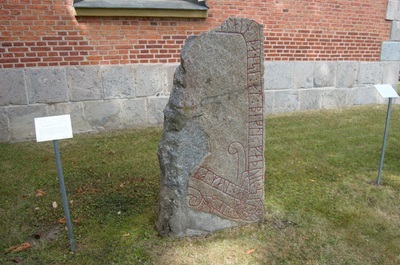 As with many runestones, this one was once built-in in the church walls. 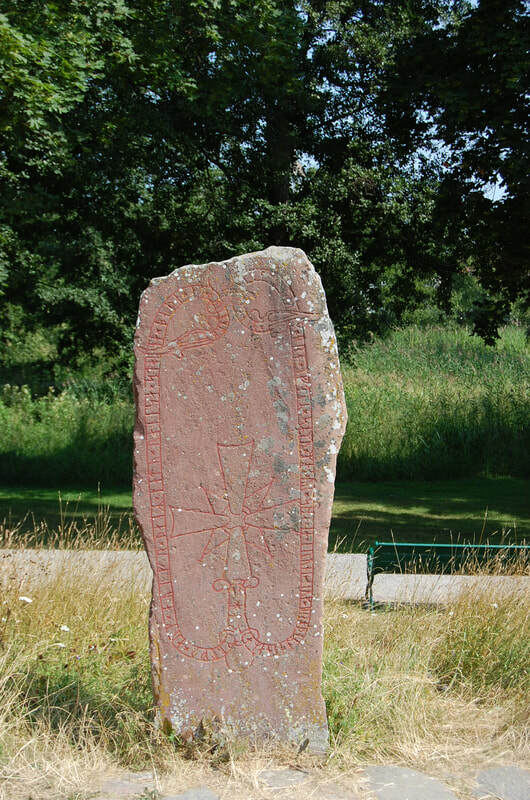 Södermanlands runinskrifter 325, stone from the 11th C.
"Köpe erected this stone for Svene, his father"
Helgulfr(?)/Hegulfr(?) and Eyjulfr, they had both of the stones raised in memory of their brother Ketilmundr; and the bridge in memory of Sóma, their mother. 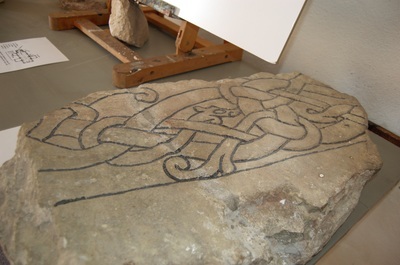 And Brúni(? 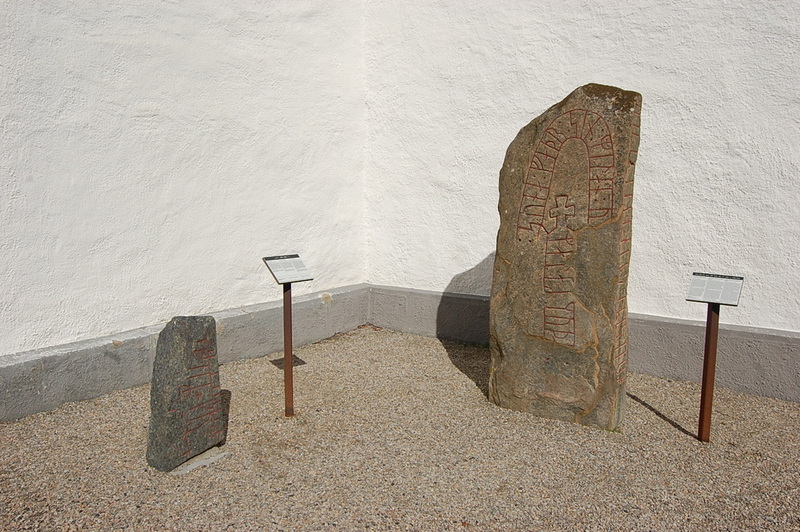 ), her brother, cut. 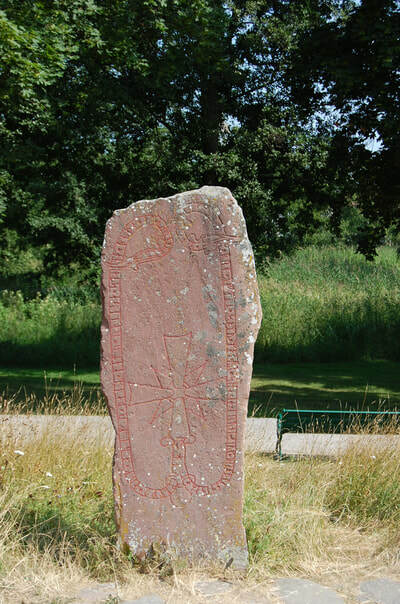 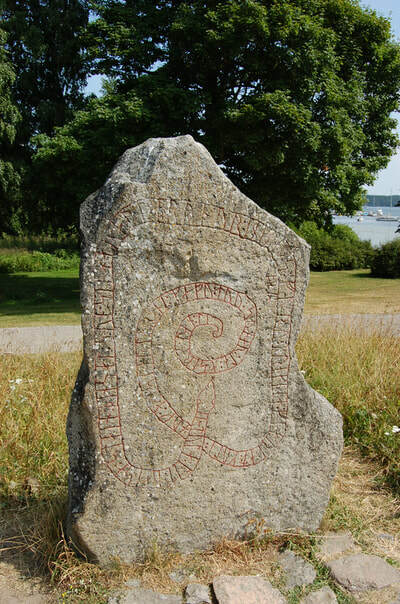 Translation | Tóla had this stone raised in memory of her son Haraldr, Ingvarr's brother. 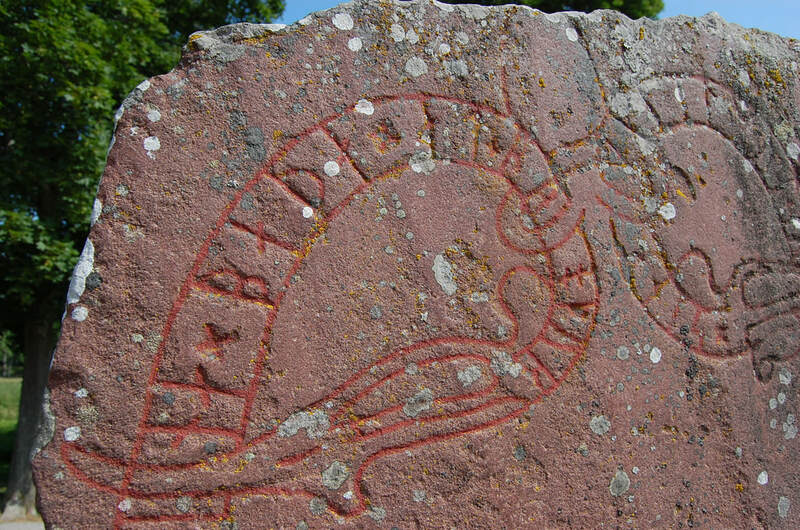 They travelled valiantly far for gold, and in the east gave (food) to the eagle. 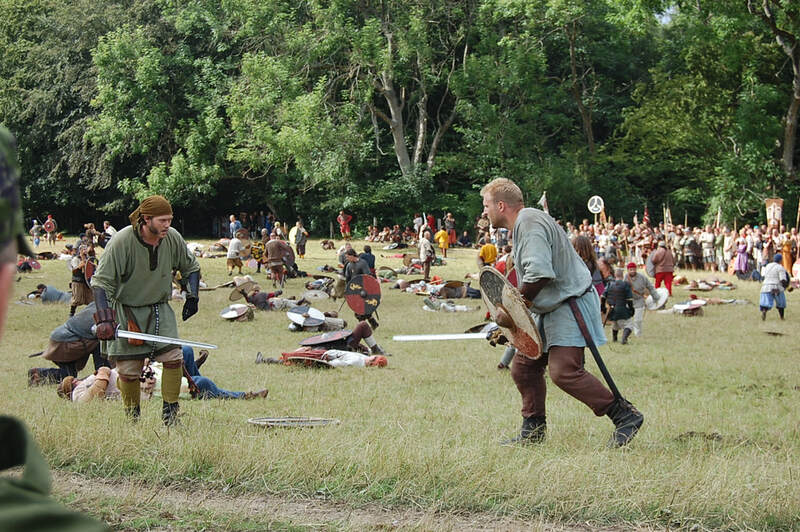 (They) died in the south in Serkland. 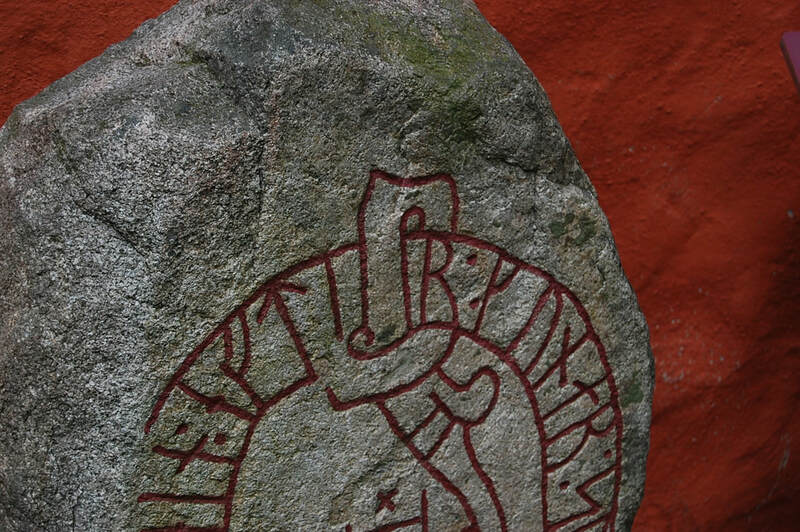 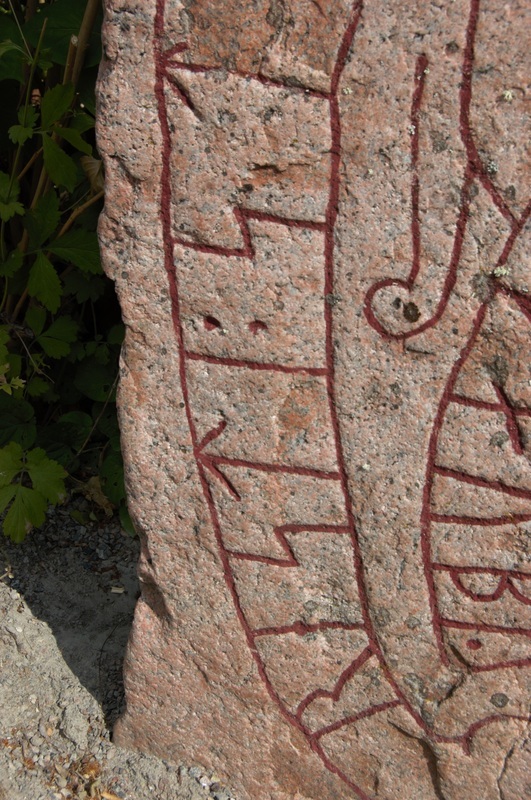 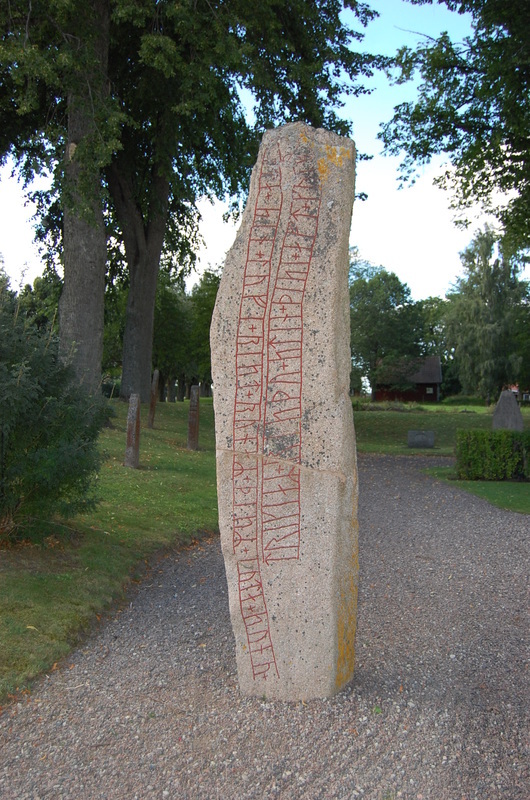 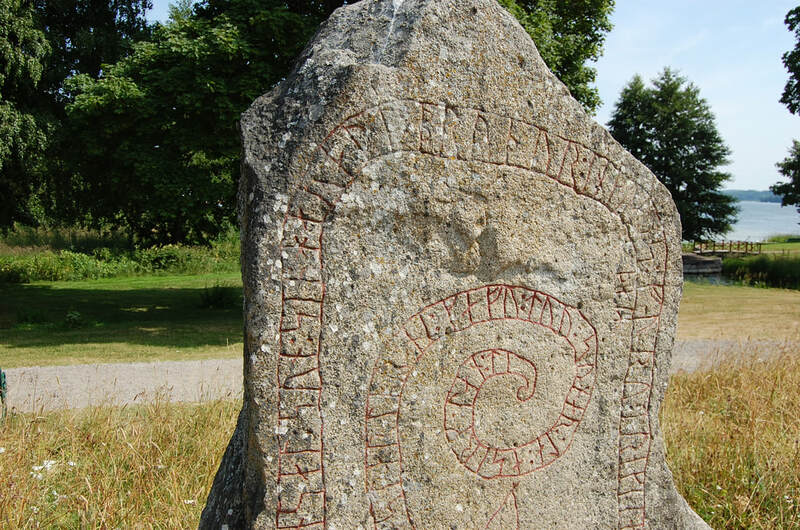 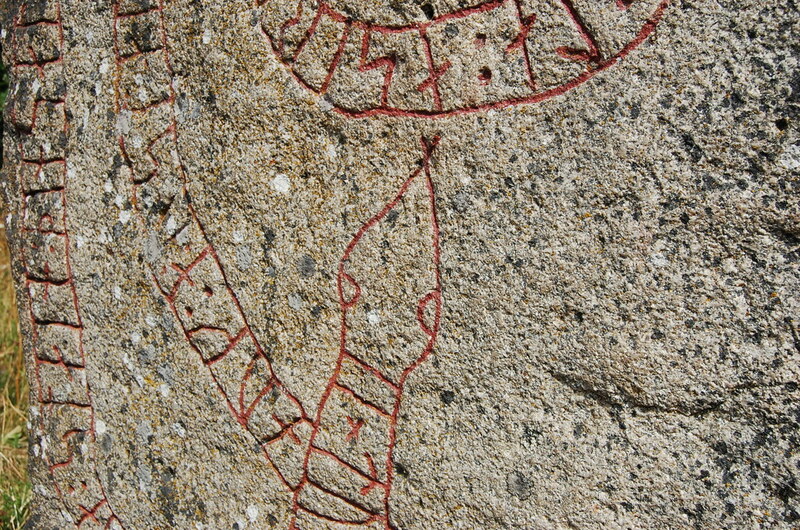 The longest runic text on any stone. 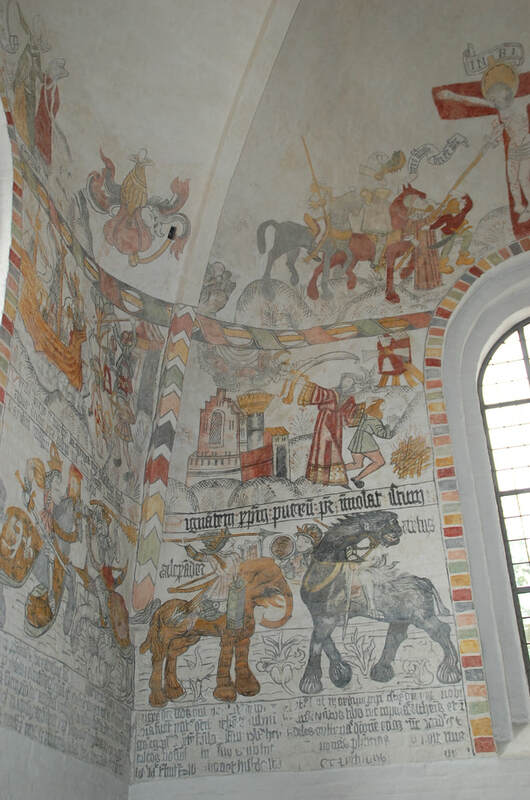 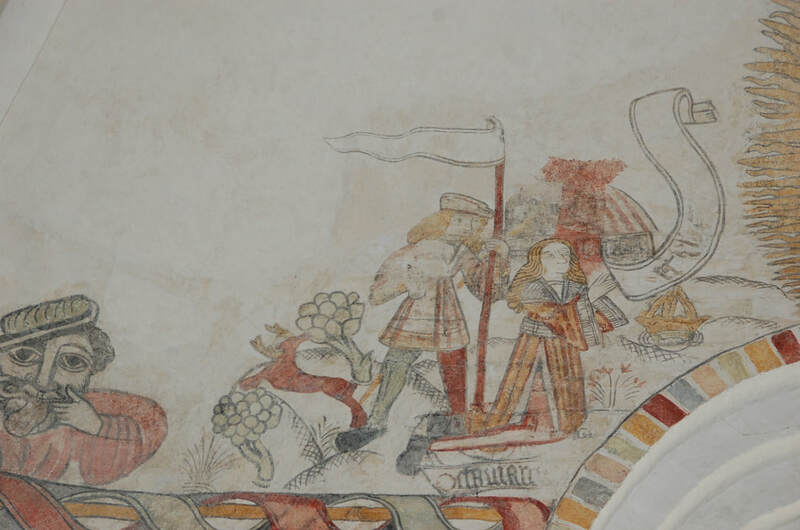 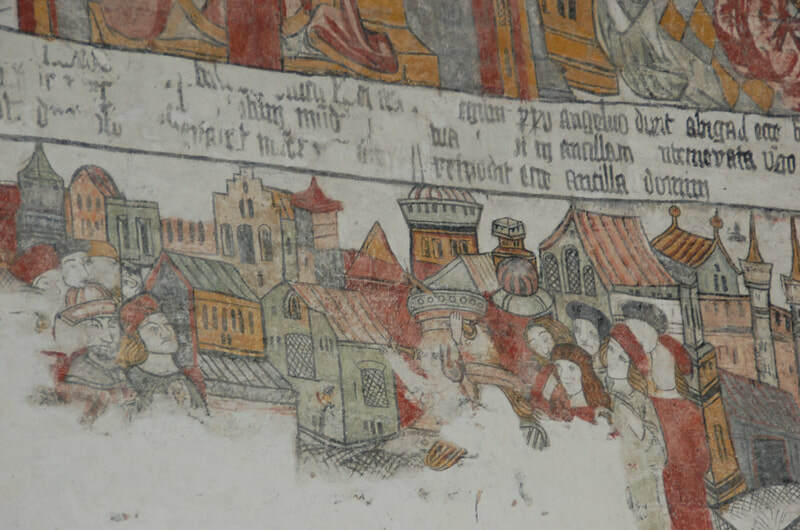 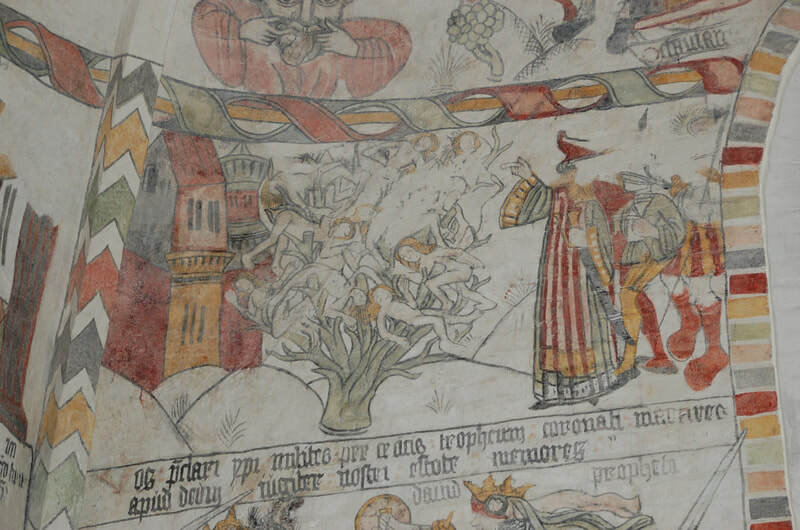 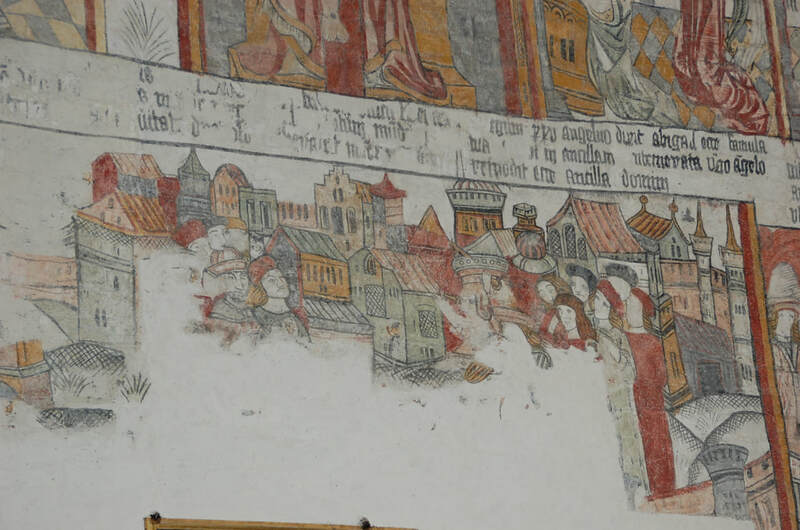 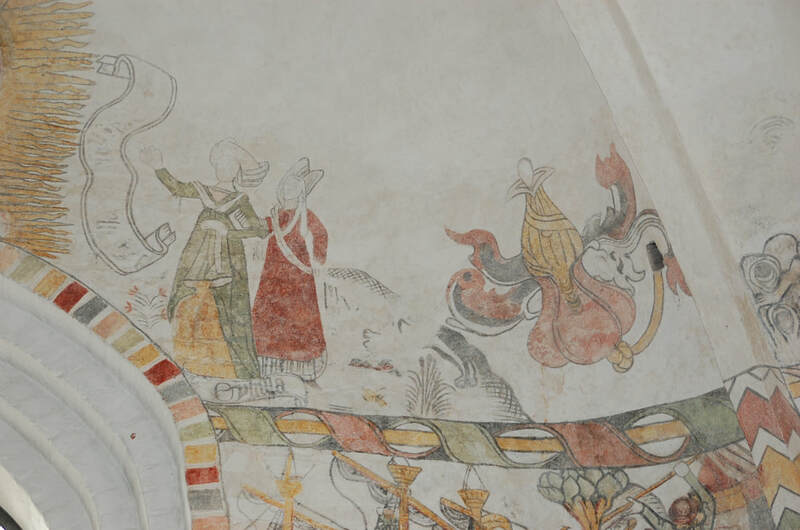 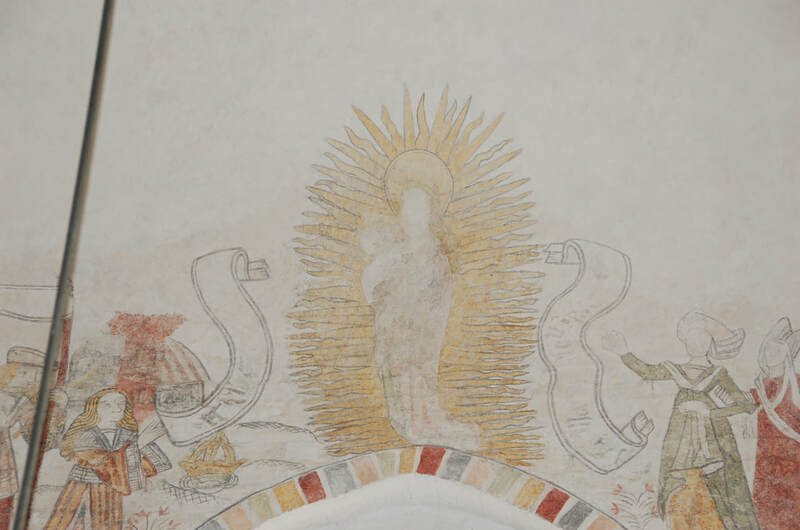 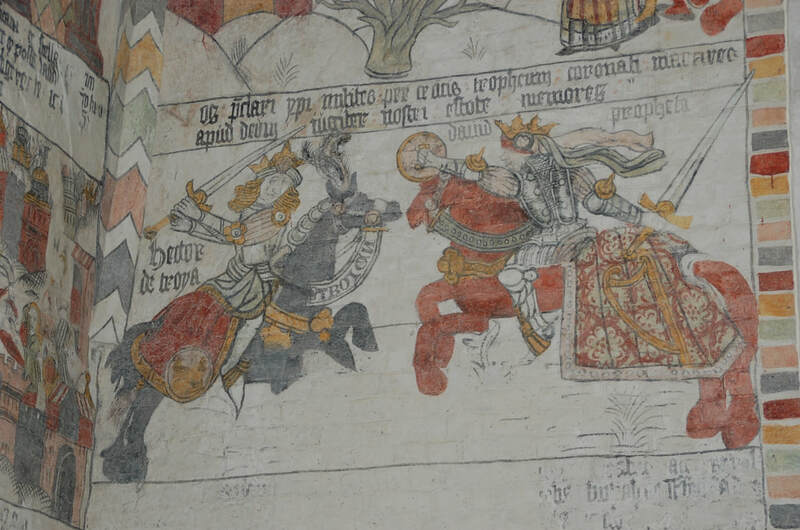 For the (transliterated) text see Wikipedia, for information on a new interpretation of the text, read the article on the site of Gothenborg University. This stone was removed from the church wall, when it was was torn down and rebuild in the 19th century. 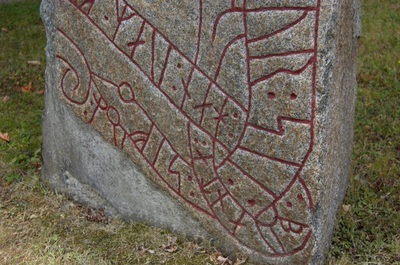 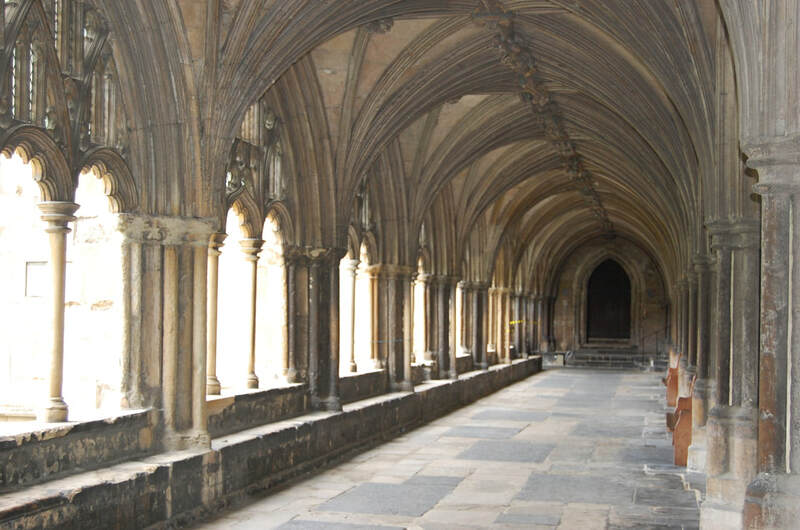 Interesting is the arrangement on the stone's surface. It starts at the right hand bottom and ends in a cross. 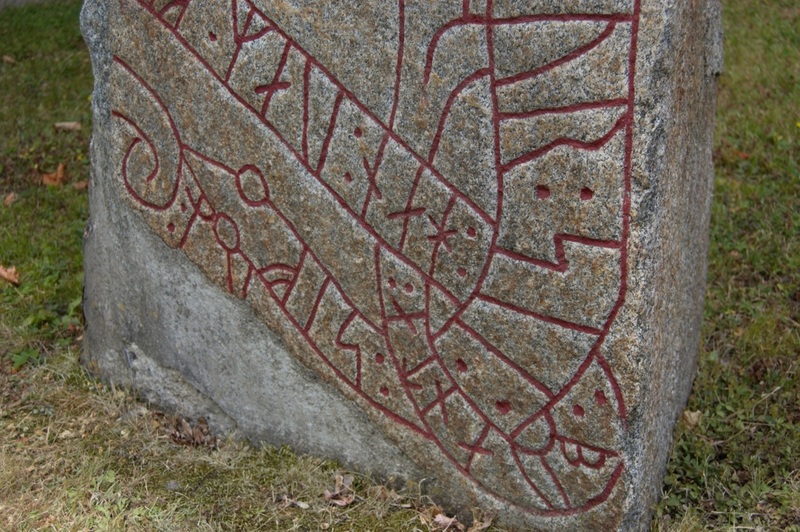 It then continues in a band just above the middle of the left -hand part of the front side, following the stone's sides from left to right. 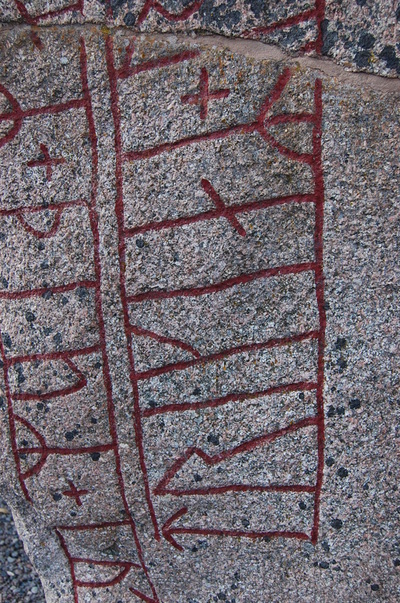 The inscription concludes in the middle band, which forms the stem of the cross. 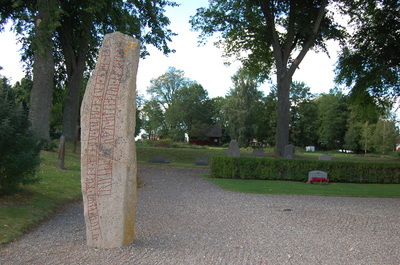 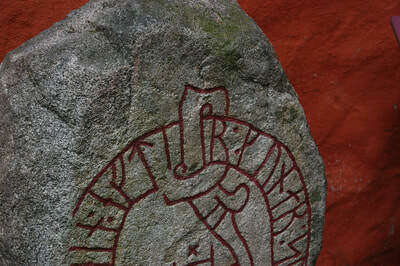 The runes are read from top to bottom. 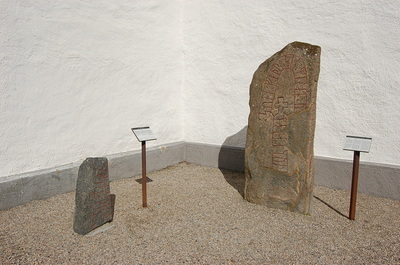 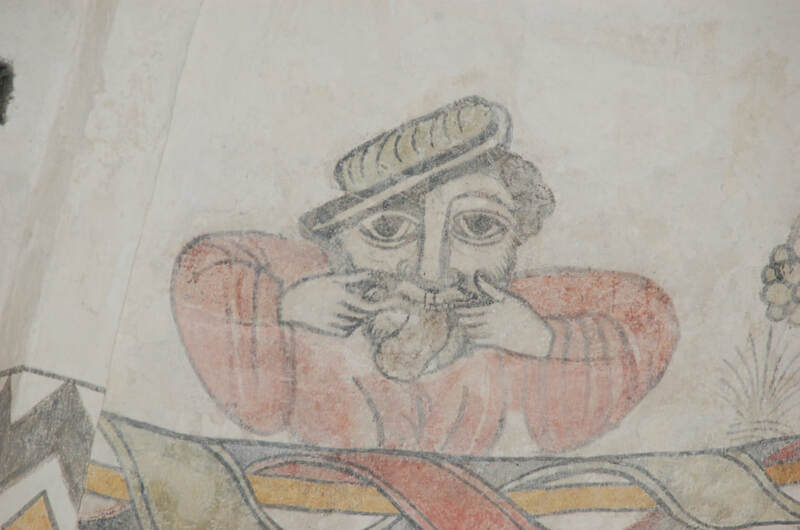 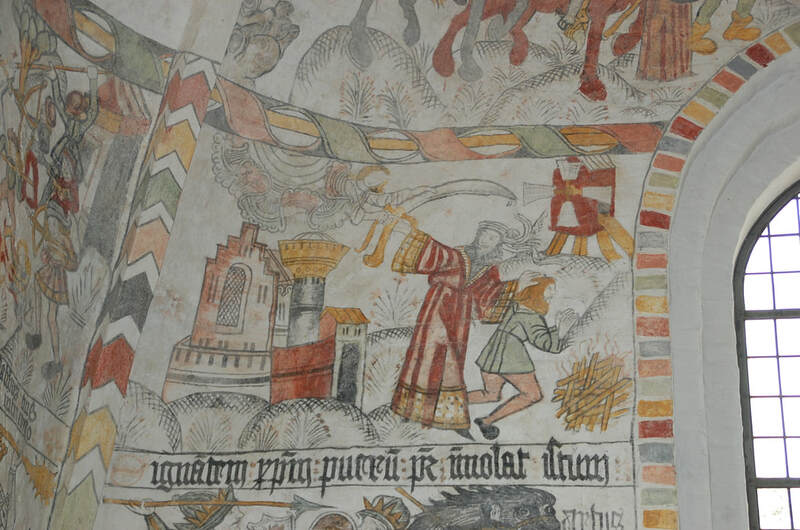 Translation: "Ásbjôrn and "kus" had ..."